Such a beauty of a book exists, and Evil Book Club of Evil are giving copies away for All Hallow’s Read! 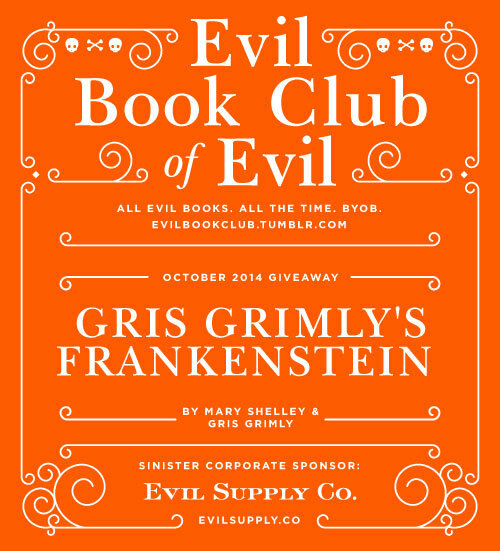 Evil Book Club of Evil October Giveaway! 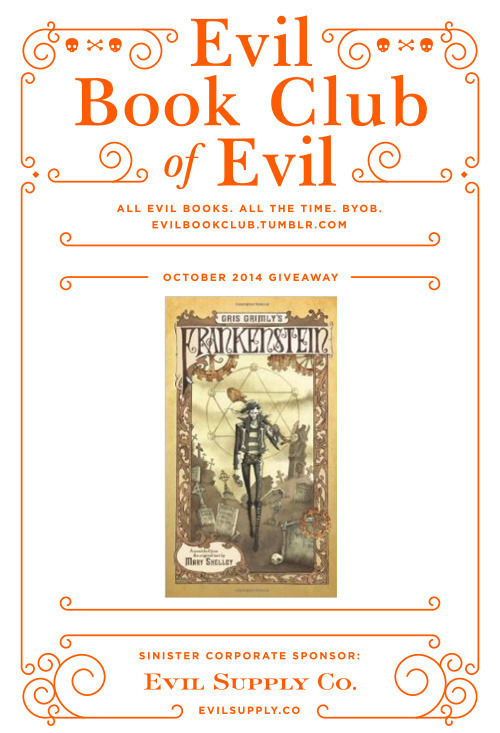 The Evil Book Club of Evil, in celebration of the empirically best month of the year (October), will be giving away books! Two books! In two separate giveaways! Because books! And because we’re a book club - what else would we give away? We considered a fabric softener giveaway because Evil likes soft, non-static-y clothing and they have those special dark clothing blends now, but in the end we decided that books were the way to go. A “heart” (we’ll pretend it’s a dark heart) gets you an entry. A reblog gets you an entry. We won’t count multiple hearts or reblogs so just do the clicky bits once please. This giveaway is open to Evil Book Club of Evil members only so you’ve got to be following Evil Book Club of Evil. We are running two giveaways for two glorious editions of books read by Evil Book Club of Evil in its inaugural year. You are welcome to enter in both giveaways by hearting and/or reblogging both posts. Winners will be selected and notified on Wednesday, October 1st! Gris Grimly’s Frankenstein is a twisted, fresh, and utterly original full-length, full-color graphic-novel adaptation of Mary Shelley’s original text, brought to life by acclaimed illustrator Gris Grimly. The first fully illustrated version to use the original 1818 text, this handsome volume is destined to capture the imagination of those new to the story as well as those who know it well. New York Times bestselling illustrator Gris Grimly has long considered Frankenstein to be one of his chief inspirations. From the bones and flesh of the original, he has cut and stitched Mary Shelley’s text to his own artwork, creating something entirely new: a stunningly original remix, both classic and contemporary, sinister and seductive, heart-stopping and heartbreaking.